All across the nation, Chem-Dry franchises are Cleaning for the Cause to support breast cancer awareness. 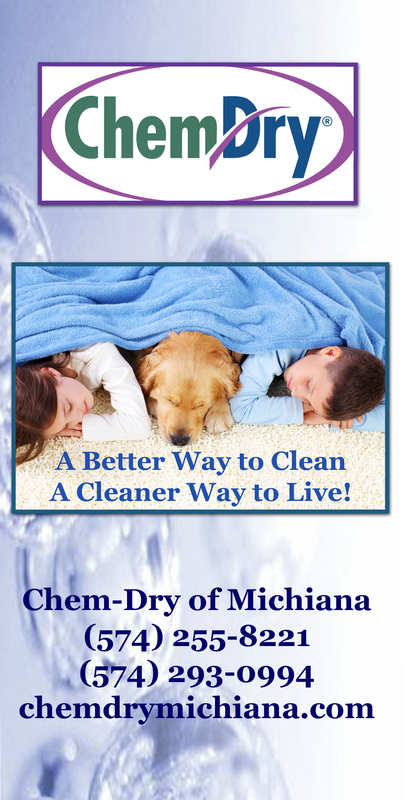 Chem-Dry of Michiana is currently offering pink spot removers. When you purchase the pink version of our World Famous Spot Remover, $1 is given to the National Breast Cancer Foundation. Chem-Dry knows that nearly every person has been impacted by cancer in some way. That is why Chem-Dry franchises nationwide have teamed up with the National Breast Cancer Foundation (N.B.C.F.) to join the fight against one of the most common cancers in women. Chem-Dry franchises nationwide are proud to support the National Breast Cancer Foundation in providing women with help for today and hope for tomorrow. Donations to N.B.C.F. help provide free mammograms to women in need and fund educational programs. With the help of Chem-Dry franchises and customers across the nation, we can all work together toward a better and brighter future. Nationwide Chem-Dry has pledged to donate $25,000 to the National Breast Cancer Foundation. We are passionate about this cause because we know that millions of people worldwide are impacted by the effects of breast cancer. Chem-Dry has chosen to partner with N.B.C.F. because we support their mission of providing programs that give women help for today and hope for tomorrow. Locally Chem-Dry of Michiana is participating in this effort to help raise $25,000. Currently we are offering our customers our World Famous Spot Remover in the PINK can! By purchasing this limited edition, you will be donating $1 to the N.B.C.F. In the coming months we will be offering other ways you can also help donate to this cause. This entry was posted in Fund Raising and tagged breast cancer awareness, chem-dry fundraising. Bookmark the permalink. Air Fresh Chem-Dry is proud to join Chem-Dry of Michiana and Chem-Dry Corporate in the fight against breast cancer. Go #Pink with #ChemDry.